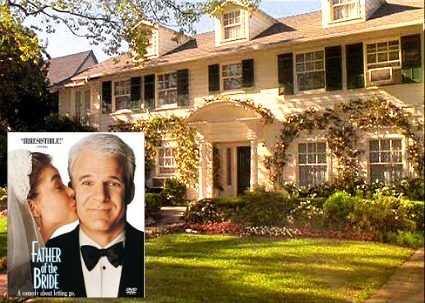 What house lover could forget the 1980s comedy The Money Pit about a young couple and their fixer-upper? 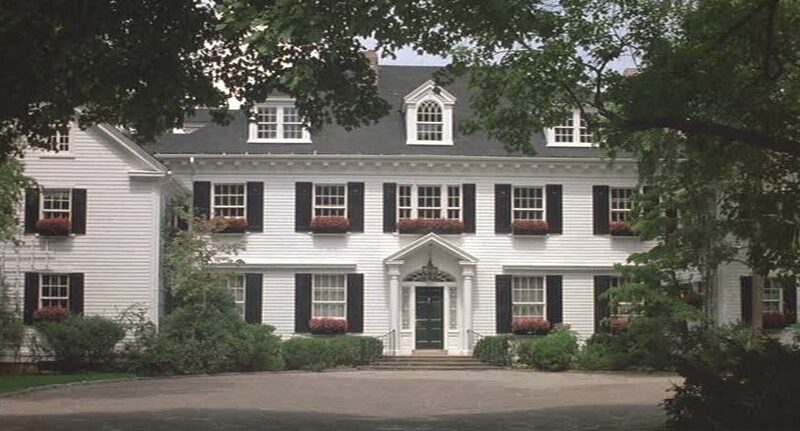 The real Long Island mansion where it was filmed is in much better shape than the movie version was and is on the market. Take a look! My biggest beef with the movie is that we never got to see how the rest of the house turned out. 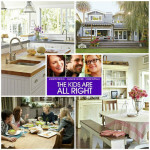 So getting a peek inside the real house gives us an idea of what it might have looked like. The dining room seats 28, according to an article about the house at SF Gate. There are 8 fireplaces throughout the house. Remember this scene in which a simple flick of the light switch ended up destroying much of the room? The current owners say the house was in bad shape when they bought it in 2002. You’d never know it to look at it now! The property also comes with a saltwater pool, a pool house, and a 6-car garage. You can see how the Blandings house looks today here. It’s not a money pit any more! Want it? They’re asking $12.5 million. For more photos and information, check the listing. You can learn more about the movie in my original post about it and see more photos of the sets, including the miniature model of the house for some of the crazier stunts. Very nice, but too formal for me. I love that house in Head Above Water, too, but the water in Maine is a bit chilly, so I’m going to have to go for either the Something’s Gotta Give house on Long Island, or even better, the Message in a Bottle house (and we’ll pretend it really was on the North Carolina coast). It would be hard to go wrong with either of those, I agree! If I had my choice of ‘movie houses’, I’d prefer something old, pretty, and casual. 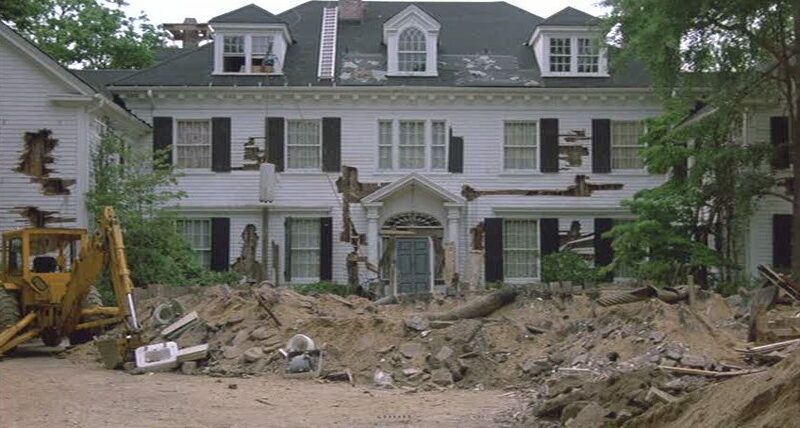 I always liked the house that Daryl Hannah’s character Roxanne lived in, in the movie of the same name. Wow, what a formal home. 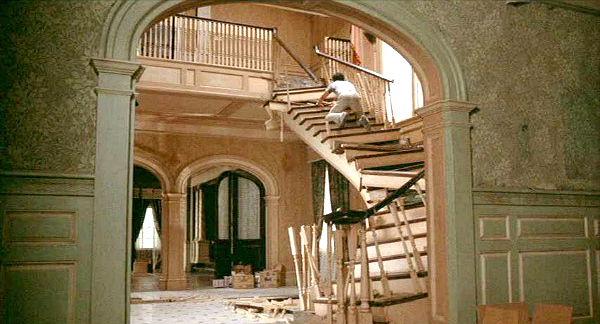 I’ve always loved the father’s sprawling hacienda/ranch in the original The Parent Trap. Or, Moon Doggy’s beach shack. Me, too, Brandy. Love The Parent Trap! I totally loved this movie back in the day. I was 10 when it came out. I should have taken it as a sign of how much I would love houses later in life. While too formal for me, I still think the interiors are beautiful from the movie. 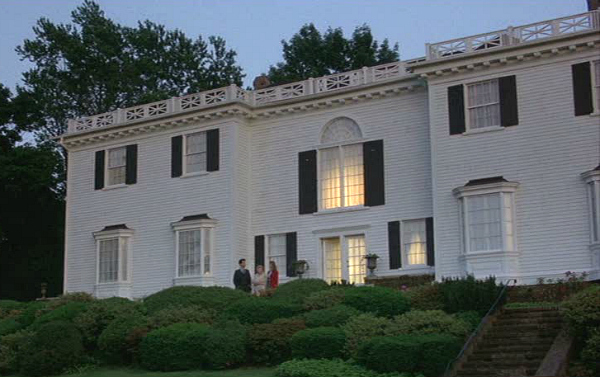 I often go back to old 80’s movies and try and figure out which houses would still look good today. Timeless interiors. I think the house in “Say Anything” is a perfect example of that. I just saw “Say Anything” again recently and it really took me back! I love looking through houses. During movies I find myself looking at the set or house for ideas. Thanks for all the work you do to bring us these houses. I much prefer the staircase in the real life version of the home. I fell in love with that style of staircase when I first watched Home Alone. Since you’re asking, one of my most favorite movies, Enchanted April, featured the the amazing Castello Brown in Portofino, Italy, and If I had the money, would fly there right now!! Those interiors/exteriors still take my breath away. Enchanted April is such a gem of a movie, too!! That’s a good one, Claudia! Haven’t seen it in years. Hey Julia – also one of my fav movies, but second to the original that this is a remake of: “Mr. 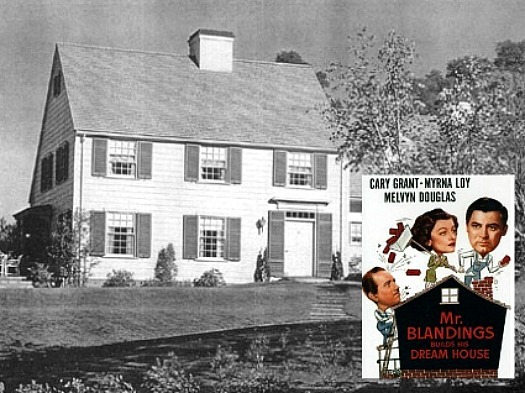 Blandings Builds His Dream House” made in 1948 and starring Cary Grant and Myrna Loy. At least as funny as The Money Pit! Love this movie–Never fails to make me laugh. I agree with you and Nathan about the staircase in the present house. It also looks consistent with the overall architecture. 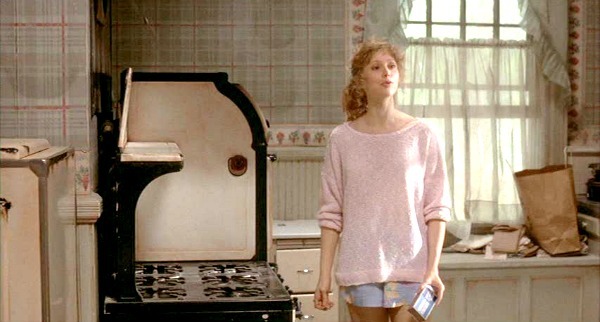 On the other hand, I prefer the simpler moldings in the movie (as in the shot with Shelley Long and the arches) to the “toothy” ones that are there now. I wonder if the moldings/woodwork were originally white or stained. That’s a tricky one. Just yesterday I was thinking of my favorite movie and television houses and which one I would absolutely love to live in. If this were a question of a t.v. house I would say the one from “Our House” starring Wilford Brimley. That house was amazing! But since this is a question of a movie house I’m going to go with the “Poltergeist” house believe it or not! Great post Julia! Hi Julia, this one’s a bit formal for me although, having said that, I do love the London house in The Parent Trap (and the one in Napa Valley..). Love them both! Thank you for sharing both houses with us. They’re nice, but I must say, I like the outside of the movie house better than the real one. It has more character. There’s so many movie houses I love, but I think I’d have to pick the Matilda one. I would dream about it a lot when I was a kid and it’s really nice. If you’re looking for another house to feature, you should do the “Sabrina the Teenage Witch one”. I love the inside and the outside. I never saw “Sabrina” but occasionally get requests for it. I really need to see if Netflix has it so I can check it out! Always and forever, my favorite house will be Gull Cottage in “The Ghost and Mrs Muir”, the movie not the tv show. Every tiny detail was perfect- the seaside location, the sweet entry with the side window to the door, but most of all the captains bedroom with the balcony view of the sea. I would put up with the antique kitchen and no central heating just for that dreamy house! Hi Julia I watched the movie yesterday for the 7th time …. Hey I love the movie what can I say? The seen with Tom and the Tub and the fountain…hysterical! Sometimes I would like to throw a hissy fit like Toms character. This is some property. Thank you for sharing. Regards Esther from Sydney. PS beautiful staircase and the views of the ground just perfect. That’s right, they billed it as a “loose remake” of Blandings, another of my favorites! I always loved this movie but it wasn’t until reading this post I realize just how absurb that giant house would be for two people. How did I not realize that before? The back of the house as seen in the movie was a false facade constructed on top of the rear terrace, masking the back of the actual house and making it match up with the interior sets. Whoever changed the configuration of the windows on the house absolutely ruined it. It was a handsome, classic, beautifully proportioned house. Now it looks like a McMansion. Oh wow – this is one of my absolute favorite movies. Thanks for sharing the real thing! 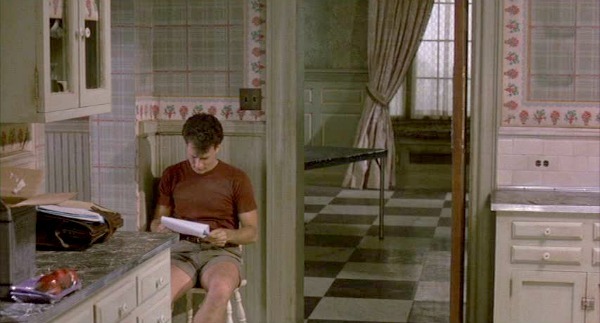 It always fascinates me how different the movie sets can be from the actual homes. Hi Imre! I love that movie. I bought the DVD when it was on sale a few years ago so I don’t have to wait for it to come on TV anymore. You can watch it online on Amazon, but they charge a little to “rent” it (watch online). They’re selling the DVD for around $11 right now if you want to own it.